What does Swakopmund, Namibia’s coastal jewel, have in common with cities like Lucerne in Switzerland, Chiapas in Mexico and Charlevoix in Canada? If your answer is that these cities are all adventure travel meccas of the world, you’d be spot on. Shannon Stowell gets ready for the next adventure. And because adventure seekers seek them out, they have each been host to the world’s biggest gathering of adventure travel professionals in the world – the Adventure Travel World Summit 2013 (ATWS). Each year in October, leading tour operators, representatives from tourism boards, media, and industry partners take a week out of their busy schedules to exchange ideas, learn about current tourism trends, discover a new destination, network and reconnect, and share their experiences. 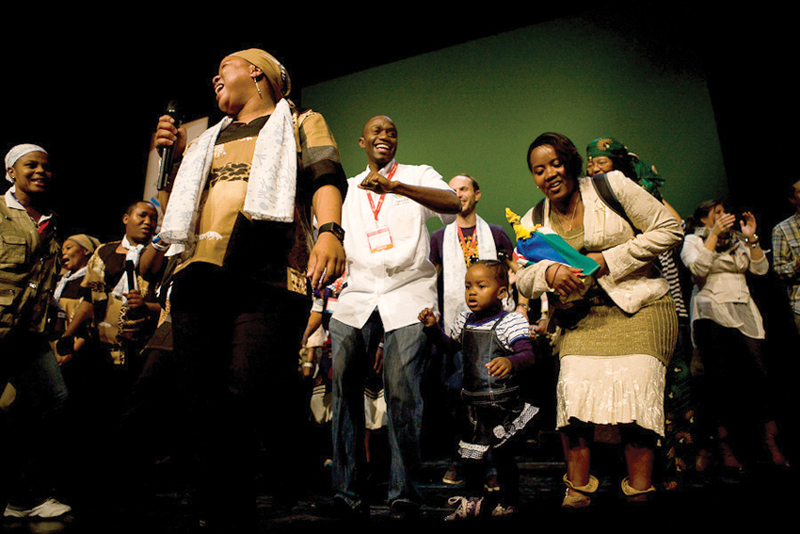 It all started in Chiapas, Mexico, when a delegation of public- and private-sector members, affectionately named Team Destination Namibia and led by the Minister of Environment and Tourism, Netumbo Nandi-Ndaitwah, attended ATWS 2011. Here they found a place within the Adventure Tribe, a community of people convinced that adventure travel can change the world by focusing on people, the planet and profits. 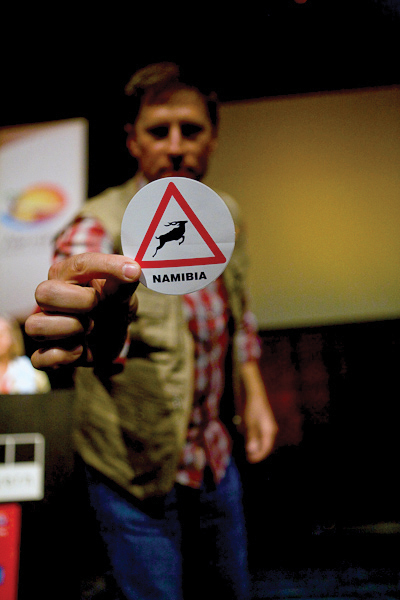 When Team Destination Namibia travelled to Switzerland to attend ATWS 2012, its message of Namibia’s 42% under conservation management was heard loud and clear. And, under her guidance, this is exactly what Team Destination Namibia did. Its strong bid to host ATWS 2013 highlighted Namibia’s outstanding conservation success record, and the unique relationship between tourism, community development and conservation – and our 42%, to wit the surface percentage of land under conservation management in Namibia. As one of the few countries in the world with conservation and environmental management mandated in its constitution, Namibia’s approach to conservation is holistic and inclusive, both in terms of maintaining ecological integrity, and in the rights of communities to benefit from the utilisation of natural resources. The State shall actively promote and maintain the welfare of the people by adopting, inter alia, policies aimed at the following: maintenance of ecosystems, essential ecological processes and biological diversity of Namibia and the utilisation of living natural resources on a sustainable basis for the benefit of all Namibians, both present and future. This is Namibia’s unique selling point – one that pushed the scales in Namibia’s favour, despite tough competition from other countries to host the 2013 Summit. 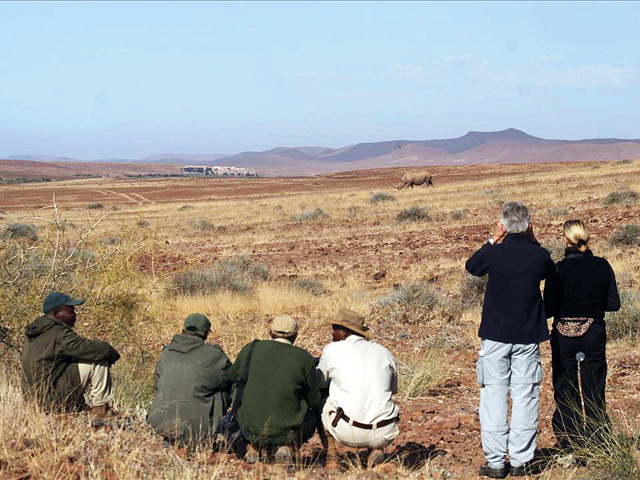 Team Destination Namibia, consisting of 44 delegates, recently travelled to Switzerland to attend ATWS 2012. Here the Namibians made their message of 42% loud and clear. Armed with laminated maps, they passionately shared their story of the remarkable synchronisation of conservation and tourism in their country. On the final night of the Summit, after the last keynote address, it was time for the Swiss to pass the baton to Namibia. They gifted an authentic Swiss railway clock to our delegation leader, Mémé Erica Akenje, and that marked the beginning of Namibia Night – Namibia’s turn to provide a taste of ATWS 2013. The 42% and Counting video filled the concert hall, and when it was over, and the lights were dimmed, the powerful voices of the Doro!Nawas Choir, straight from Damaraland, filled the room and literally brought tears to people’s eyes. Tourism is the largest industry in the world, and adventure travel, while only a sub-sector of tourism, is one of the fastest growing, most sustainable and most lucrative for emerging destinations. physical activity, cultural interaction and/or natural surroundings. 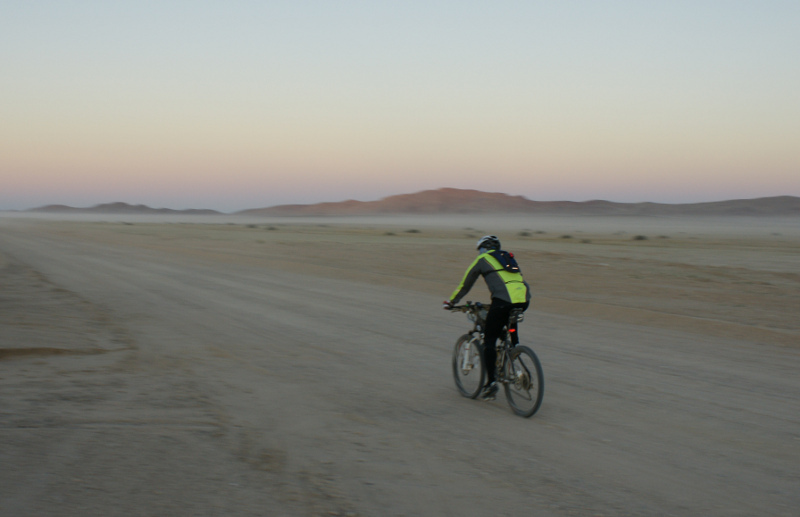 The sweet spot of adventure travel is an experience that includes all three. Sitting on a beach sipping Pina Coladas is not adventure. Tracking rhinos in the Kunene Region with a local ranger definitely is. No less than 42% of the land area in Namibia is under some form of conservation management. These are the facts that make 42% much more than just a percentage. Moreover, Namibia was the first country in the world to write environmental protection into its constitution. Since Namibia achieved independence in 1990, the percentage of land area under some form of conservation management has expanded from 13% to 42% (State Protected Areas, Communal and Freehold Conservancies combined). 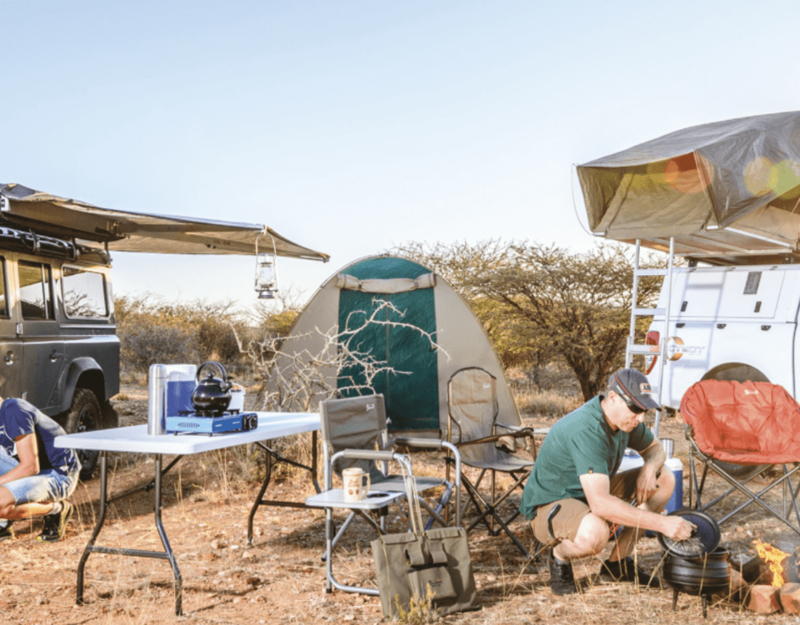 There are 76 communal conservancies in Namibia, covering over 18% of Namibia’s surface area. One in four rural Namibians is participating in the conservancy movement. Conservancies also work to empower women. Four out of every 10 members serving on conservancy committees are women. Want to be part of ATWS 2013? Register today. This article was originally published in the Air Namibia in-flight magazine, the December 2012 Flamingo edition.